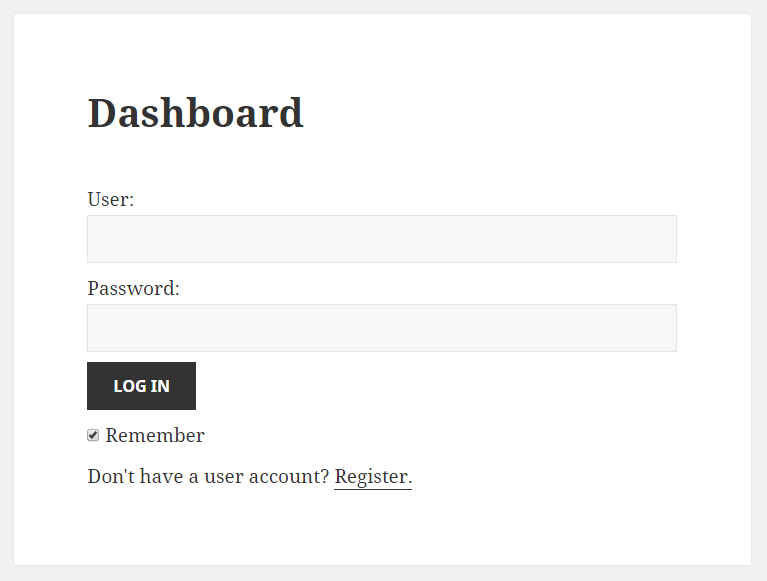 The [fep-dashboard] shortcode allows users to Register and Login in order to update their Profile, edit and delete Posts, Pages or Custom Post Types created with WCK Frontend Posting. 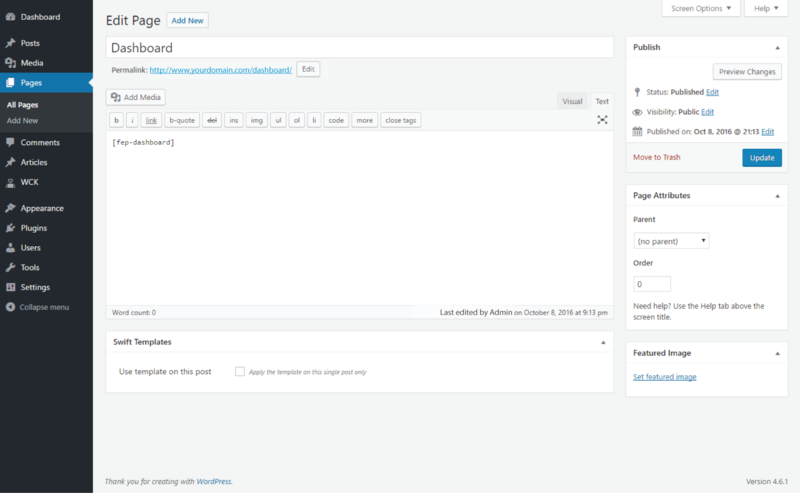 To generate the Frontend Posting Dashboard add inside a page the [fep-dashboard] shortcode. 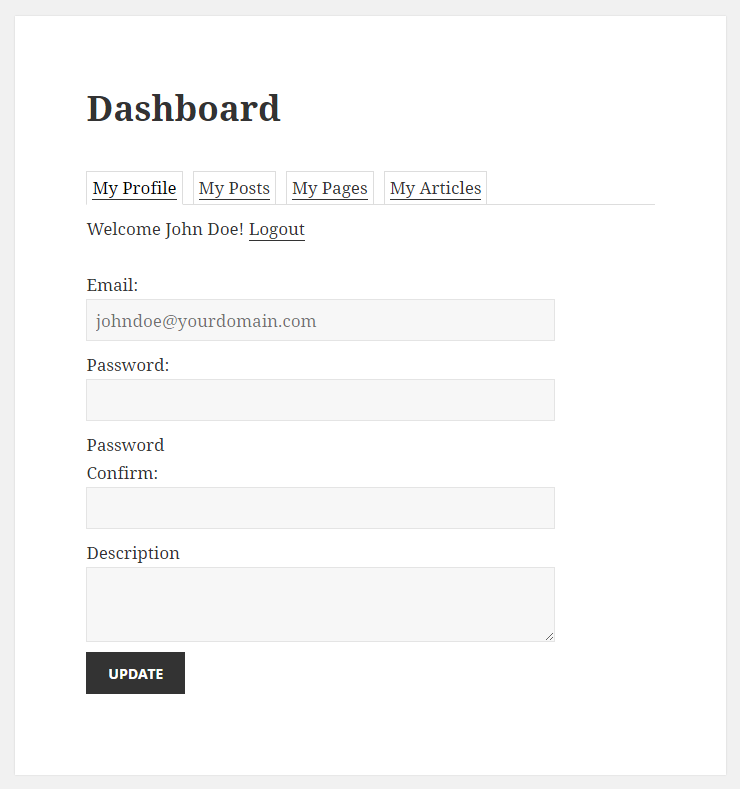 After Registration and Login users will be able to edit their profile, Posts, Pages and Custom Post Types.